Join us on Wednesday, July 10, 2013, at 10 PM EST for Round Two of our Iron Scrapper Battles! 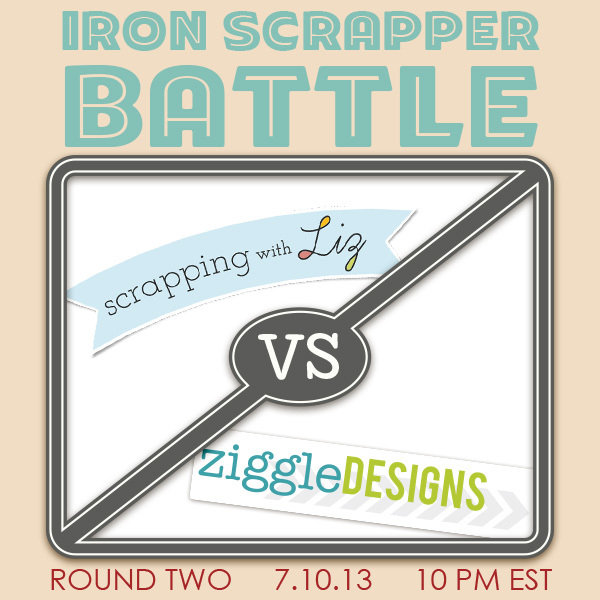 Kami of Ziggle Designs is going head-to-head against Liz of Scrapping With Liz. They'll have one hour to scrap a layout using the instructions given at the beginning of the crop!